On Friday June 14th at 7:30 p.m. Vassar Temple’s organist Joseph Bertolozzi will tell us about his recent time in Paris to create Tower Music, and update us on this exciting project involving the Eiffel Tower. To help you appreciate this remarkable endeavor watch the following short video. Joe is loved as Vassar Temple’s organist and our congregation could not be more proud of his accomplishments. So it is a treat to hear Joe tell us his story first hand. It is sure to inspiring and interesting. 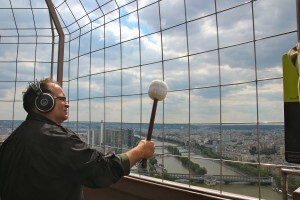 After all, it’s not every day that someone “plays” the Eiffel Tower – in fact it is a first! 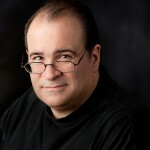 Friday’s services and Joseph Bertolozzi’s presentation are open to the public. Vassar Temple members are urged to come show their support for Joe, and for what is sure to be a pleasurable Shabbat service all around. The related Torah portion describes the objects that are to be used in the tabernacle such as the menorah and rams horn. It also describes the Israelites leaving the base of Mt. Sinai and proceeding into the wilderness. 2:14 Z is speaking to the people before the 2nd temple is rebuilt. Construction is lagging. Note that the Judeans have never left the land and have lived under Babylonian hegemony. Now the exiled leadership has returned from Babylon and have tried to reassert themselves. The Judeans eventually become sectarian with the passage of time and are known as the Samaritans. The Babylonians do not want the returning group to establish an independent state. The reestablishment of Jerusalem and the reconstruction of the Temple suggests to the Babylonians an effort toward independence. The presence of a heavenly host is not problematic in proto-Judaism. Note that Joshua has been put forward as high priest but this is a subject of dispute. Here Satan plays the role of the opposition to Joshua’s selection – and hence to a more vigorous effort to complete the Temple. 3:3 Here the dirty clothing may be a metaphor for dirty laundry – there may be something in his past conduct that he needs to be cleansed of. This finds analogy in modern political campaigns. How Do You Honor A Man? How do you honor a man? How do you honor the memory of a person who has passed away? I believe you do so the moment you ask the question. The desire to honor them is an honor in itself! The answer to the question is where it gets more tricky. The answer of how to honor someone can be simple and find form in infinite ways. So when a good idea comes forward it can just be a matter of choice, action, and follow through. Such is the case with a recent effort that was seeded by the Vassar Temple Men’s Club. When Bob Abrams presented the idea of buying a bench on the Dutchess County Rail Trail in honor of past Temple President Seth A. Erlebacher the Men’s Club committee reached a decision to move forward without delay. The goal was clear, within reach, and a fine way to create a place where we could memorialize Seth. The call went out for donations thanks to the efforts of Men’s Club co-chairs Dave Wolf and Jeff Brenner. The Vassar Temple Sisterhood was asked to join the effort, and the goal was reached quickly. Soon, on a new section of the Dutchess County Rail Trail, a bench with a plaque will be put in place. And once it is Vassar Temple will have an intimate dedication service. We will honor Seth in this way. Honoring a person does not need to be expensive. It doesn’t require much money and it needn’t be fancy. It is the act of honoring someone that is the honor in itself. When we recall a person with the desire to say their name and pay respect, we honor them and their family. So if you happen to be on the Rail Trail in the future and come by Seth’s bench, please take a moment to recall a memory of Seth. By doing so you are helping us to answer the question of how do we honor the man. Note: An announcement of the dedication service for Seth’s bench is forthcoming. The disloyalty of Hosea’s wife is a metaphor for Israel’s disloyalty to God. The connecting Torah portion is in the Book of Numbers. 2:1 The Torah reading is a census and this appears to forbid one – “not to be measured or counted.” This may refer to the inherent inaccuracy of surveys – where more are being born while some die. He is saying that Israel will survive despite the Syrian invasion. He wants to change the names of the children from in implication of disloyalty to one of loyalty. Note that Hosea was likely from a family of prophets – who played that role in ancient societies. CL: This seems to be poetic or idiomatic. Does it warrant analysis beyond the metaphor? PG: Yes in the sense that they are under attack and need to be given hope. DC: Why does verse two appear here before verse three – to which the first verse connects? PG: Not really sure. This is uniquely a Northern text – which undoubtedly contains regionalisms. An ice cream soda is called a “cabinet” in Rhode Island. CL: The Hebrew for my people is “ammi” a common name in Revolutionary War times and notably of the painter Ammi Phillips. 2:4 The metaphor extended. This would appear to be ripe for a feminist interpretation. The Woman’s Commentary does not include Haftarah. AF: To whom is Hosea speaking? This seems a bit sophisticated for the farmers at the market. PG: This is written as scripture several hundred years after the events – about 450 – to a literary audience. Or for us today. 2:7 The worship of other gods is materialistic but Hosea/God claims he gave her everything. There is no recital of love in what he has given her. Since God is speaking it is even more jumbled – like a fevered dream. But the wife is clearly a metaphor for the people of Israel. ML: Why would the redactors use this metaphor? Were the Israeli people on the verge of apostasy at the time? PG: Prophets were preserved because they were right. Syria did overrun the Kingdom. In 740 they are in full bloom but gone as state twenty years later. But what impelled Hosea to marry this woman? LL: Or God to select this people? He went out of his way to build a metaphor? Was he trying to rescue her? Israel was rescued. Vassar Temple devoted Sunday, May 5, to helping the community as part of the countywide Mitzvah Day sponsored by the Jewish Federation of Dutchess County. With projects ranging from painting a fence at a local dairy farm to cleaning up a Poughkeepsie stream, from collecting food to the poor to baking them cookies, there was a project for everyone. In support of the program, Vassar Temple cancelled Sunday-morning religious school classroom activities, making it possible for parents to attend with their children. By the end of the event, dozens of Vassar Temple members had joined members of other communities to help improve the lives of thousands of local residents. Following discussions among Jewish community professional and lay leadership, and also within the congregation, Vassar Temple has decided to create a comprehensive two-day-a-week Religious School involving both Hebrew and Judaica. It will be withdrawing from the Community Hebrew School. The following is a letter that will be published in the Jewish Federation’s monthly, The Voice. At the conclusion of World War I, the Jewish leadership of Poughkeepsie responded to the lack of well organized religious instruction with the creation of the Community Hebrew School. Jewish education was housed in its own building, and then subsequently in the Jewish Community Center. After World War II, the management and direction of the School (CHS), was placed in a separate Board with members drawn from the four Poughkeepsie congregations. Surely, other early twentieth century small American Jewish communities sought to cooperate in Jewish education in a similar fashion. 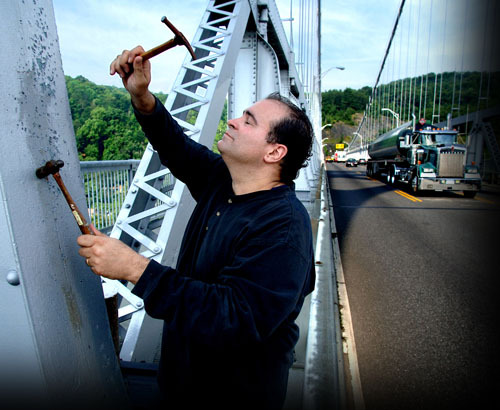 Only Poughkeepsie, however, sustained such a program into the twenty-first century. The CHS has always been a noble idea. It was predicated on collaboration among Orthodox, Conservative and Reform congregations, and such cooperation can hardly be taken for granted. It has been dedicated to the notion that the Hebrew language binds together all Jews – secular, liberal and traditional – and that students from all backgrounds can indeed learn in the same classroom. While the goals of community-wide cooperation remain central, the noble idea represented by the CHS has run its course. By the beginning of this century, an increasing number of families were choosing to turn to independent tutors for their Hebrew education rather than the classes housed at the Jewish Center. The overall program has experienced a rather dramatic decline in enrollment through the last decade. Something had changed. It would be both unfair and wrong to suggest that the difficulty arises out of the CHS itself. There has been no discernible drop in the quality and dedication of the teaching staff, or in the soundness of the curriculum. The changes are rather to be found in factors beyond the CHS control: in the demographics of the Dutchess County Jewish community, and in the subtly evolving nature of Jewish identity and affiliation. For central and southern Dutchess County, the Community Hebrew School is the answer to a question the area Jews are no longer asking. The promotion and development of Jewish and Hebrew education must now move in a new direction. We, at Vassar Temple, wish to laud the diligence and commitment provided by the staff and leadership of the Community Hebrew School in promoting Hebrew education for over nine decades. While we are convinced that evolving times and circumstances require Hebrew to be imparted as part of comprehensive Jewish education in ways that go beyond the scope of the CHS, we also remain dedicated to its underlying values of cooperation among the varied segments and streams of the local Jewish community, and to its common hopes and aspirations. We are certain that just as the Community Hebrew School represented a collaborative effort to address a fundamental Jewish need back in 1919, we will continue to create and implement new programs and ideas that represent the full community. Just as the Jewish community of Dutchess County welcomed innovation and planned for the future in the early 20th century, we look forward to embracing the challenges of the 21st together as well.